After nearly 2 years spent in the Paraty and Angra dos Reis region of Southeast Brazil, we decided that this year I would not go to Antarctica to participate in ocean conservation activities with Sea Shepherd and that the time had come for us to move on with our Kiribati 36 Green Nomad. 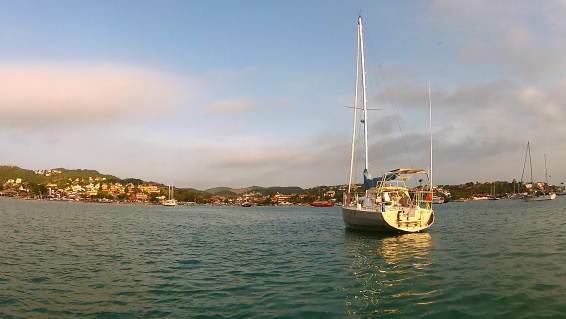 After some weeks in Ilha Grande, we took advantage of a small cold front and made our way to Buzios, 150 nautical miles distant. 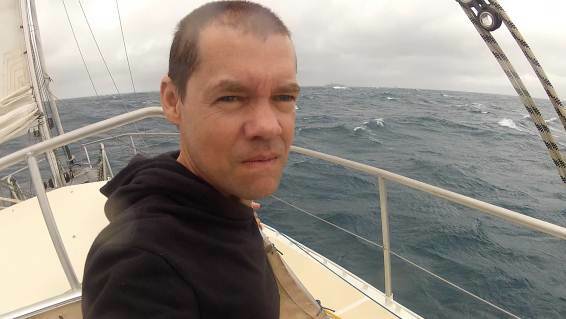 There we had to wait for some time with strong Northeasterly winds of nearly 30 knots blocking our way North. 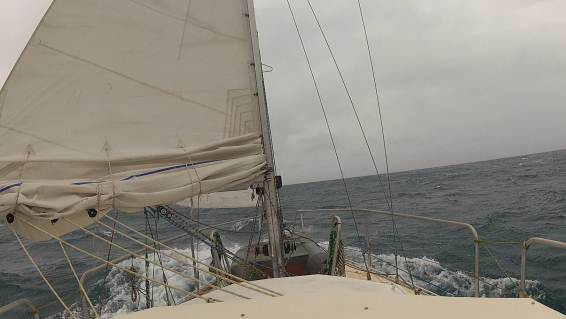 We decided to negotiate the difficult Cape of São Tomé in near calm conditions under engine well offshore, and we already knew that after that we would have some 20 hours of head winds, during which time we tacked inshore and nearly reached the coast close to the town of Vitória. But then the also expected SSW winds came with a new cold front and heavy weather, lightning and rain, but with that we had favorable winds all the way to a bay called Camamu, in Bahia state. 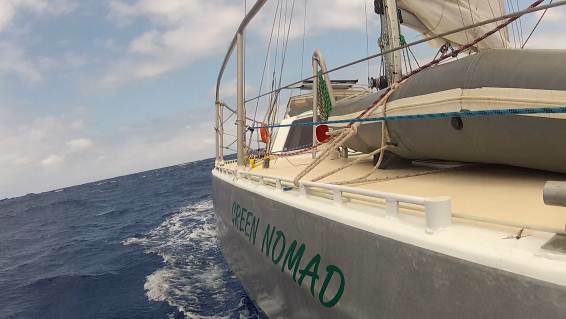 This second trip was roughly 700 nautical miles in length. 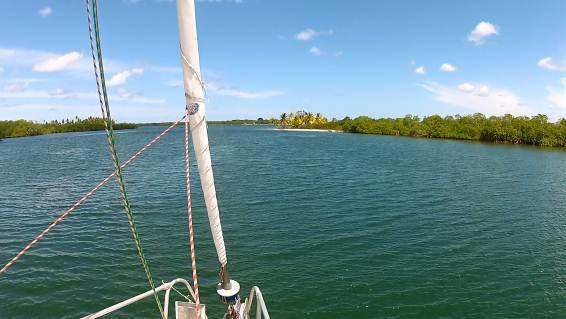 We are now anchored in a very secluded spot, between 2 islands named Campinho and Goió, lined by mangroves and coconut palm beaches. This trip came to prove that the boat is very well balanced, even in moderate to heavy following seas, with the twin rudders controlling the boat without difficulty down some quite step stern quarter waves. The autopilot also worked very well and we did not have to worry about steering. 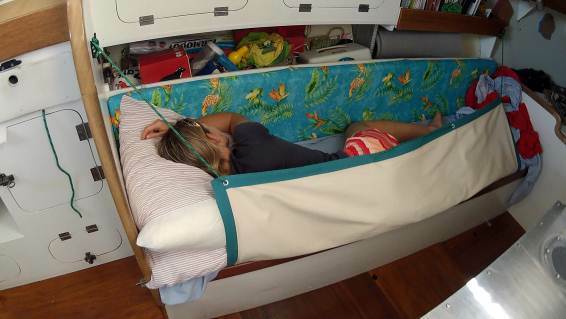 This and the well sized dog house with a rear enclosure made for a quite comfortable trip. 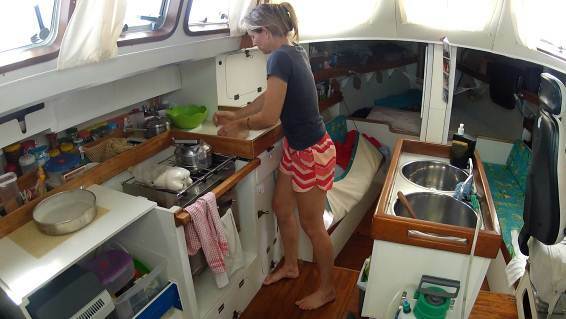 The sea berths with lee cloths are also very well positioned, with a good space between them and the hull that serves to dampen the sound of the waves and make a quiet ambience for sleeping off watch. 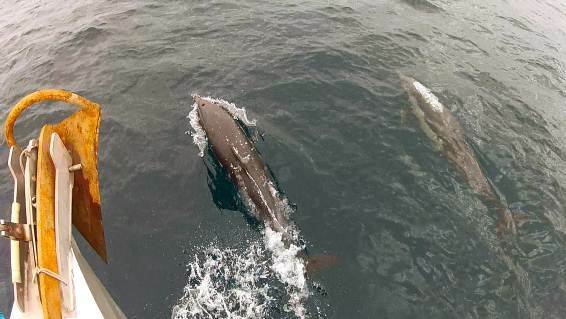 Having chosen a well offshore route, our company was made mostly of cetaceans, dolphins and humpback whales alike. 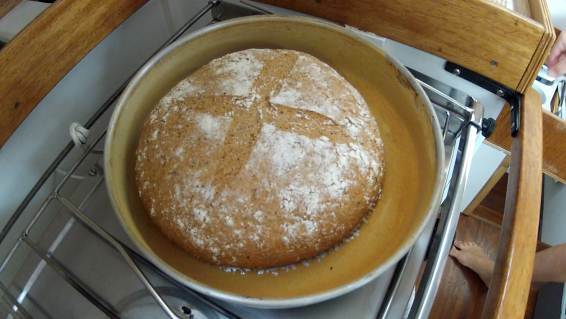 A good change this trip was that Marli started using a new seasickness medicine, Bonine, and with it she could function normally, cooking and even baking awsome wholemeal rye bread. In previous trips it took much longer for her to attain this comfortable state. We intend to keep going, but the pace will be dictated by the places we visit. If we like it we stay! 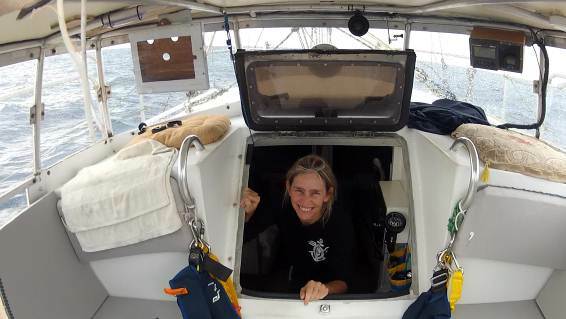 We met several other sailors from overseas, and most of them complained that they only had 3 or 6 months visas, and with that they could not spend a fraction of the time they really wanted to explore this coast. We even kept an SSB radio schedule with our friends from the Yacht Muneera, from Melbourne, Australia. Here in Camamu we found that quiet life pace that we seek, with very nice and authentic people on the villages. 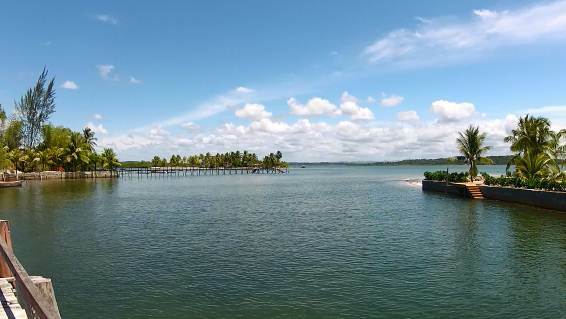 In order to send this article we had to take our dinghy to the edge of a mangrove, from where we could get a sight of Camamu town and access the cellular network, emailing the files to Roberto Barros and Luis Gouveia. Internet only in the mangroves! Normally we use our SSB radio with a Pactor III modem and a sailmail membership, but to send these pictures that would not do. But for daily communications and weather information the system is all we need and we are very happy with it. Soon we intend to edit a video with the highlights of the trip. We will keep sending updates from the hidden corners of the world!